Now we have entered the month (or 3 weeks) of just fish. I’m sure there will be scaling, emptying, washing and cleaning involved…so at least I know I’ll definitely get some space in the metro or even a seat from the wonderful odor that will be coming off my hands…But today, the fish were already cut in their respective pieces and we merely had to poach them and then accompany them by a sauce. 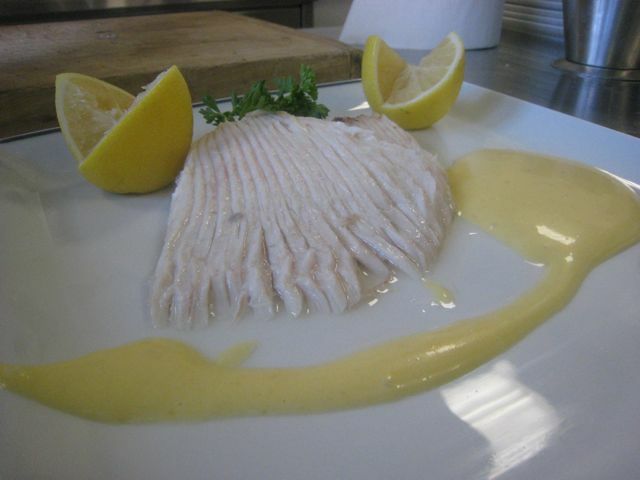 First, we made Aile de Raie, Sauce Hollandaise (Sting ray with Hollandaise sauce). I have eaten before with capers and it’s a great and light dish. 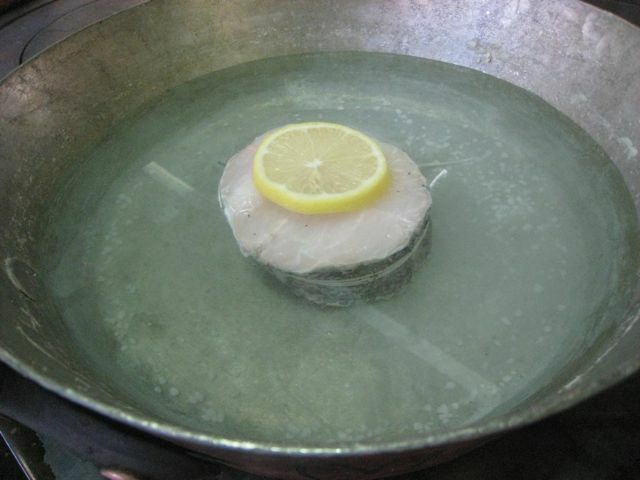 We poached the sting ray in boiling milk, water, salt and some lemon juice and set it aside to simmer (but not boil! 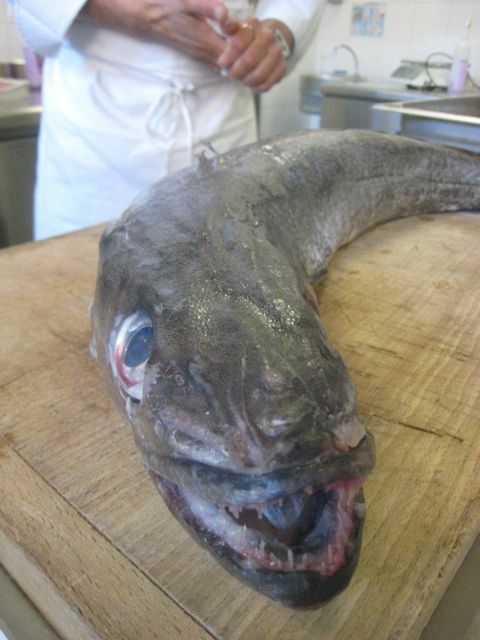 You don’t want to overcook the fish). In the meantime, we prepared a sauce hollandaise for which we made a sabayon of egg yolks beaten very fast and in a warm area, not over fire, to which we add clarified butter (melting the butter, removing the foam and using the butter fat), all whisked together and then served. 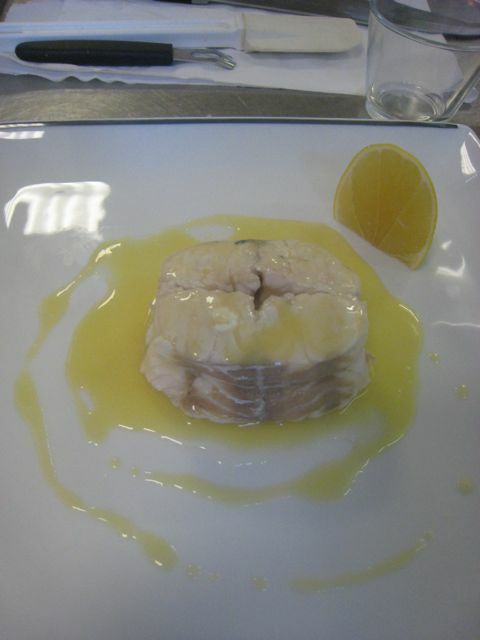 We poached in water, with salt and lemon and served it with a beurre blanc. 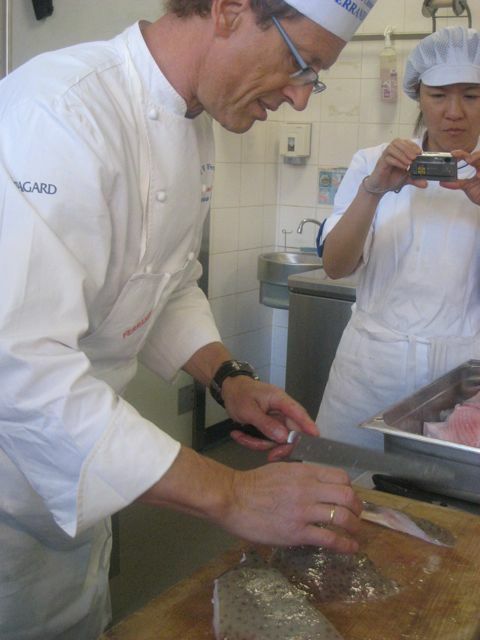 We made the latter with reduced wine and shallots to which butter is added, whisked and seasoned to taste.